Impressive natural (?) 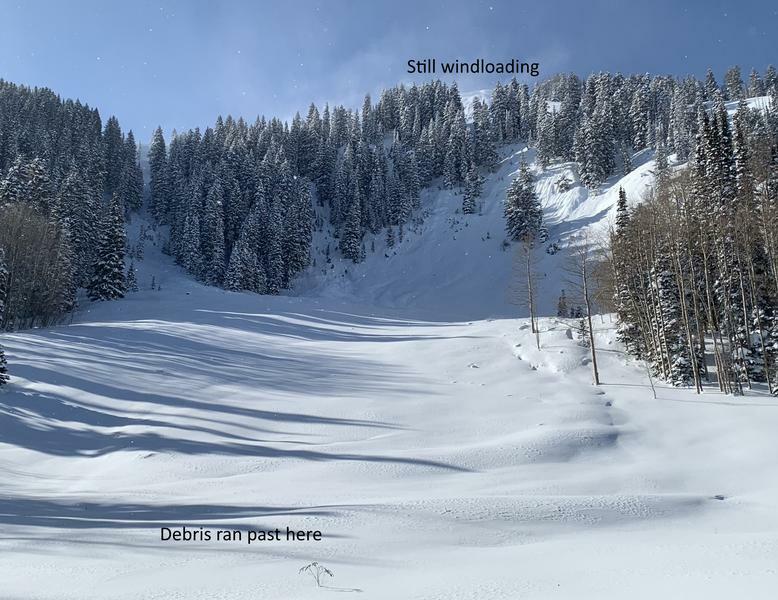 avalanche on Murdock maybe ran overnight. Snow still blowing off the top visible from a long distance. Looked like it may have propagated to Todds Bowl. Debris ran quite far but were somewhat obscured by new snow from overnight. You could tell where the debris ended because the snow was far more supportable and there were a few tree parts visible. Crown appeared to have maybe started as a wind slab, then stepped down to deeper layers. 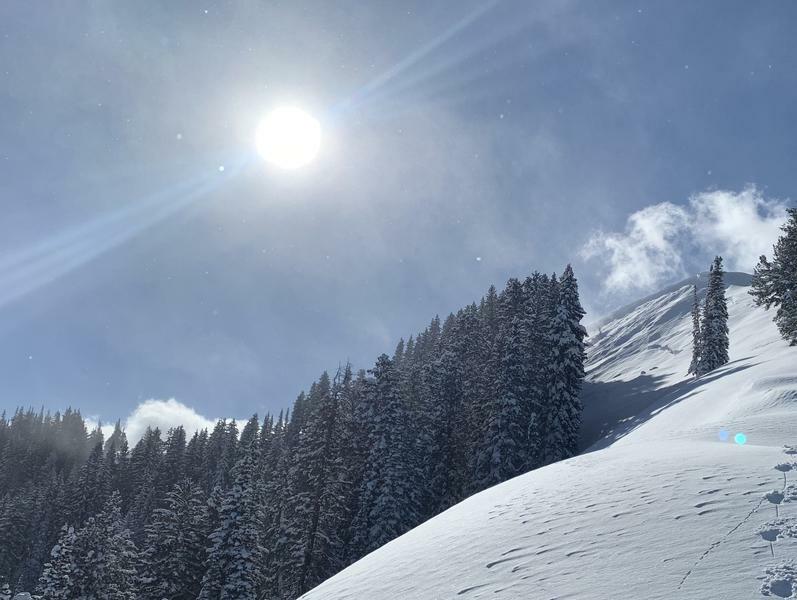 Hard to tell depth of avalanche due to large cornices at top of slope. 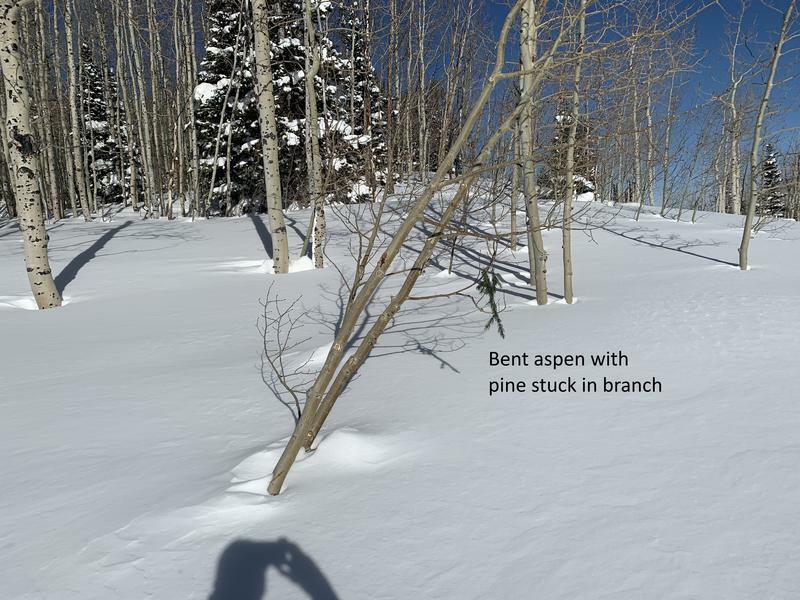 Aspen pushed over with a little bit of a pine tree in the branches.